Published: March 20, 2015 at 12:27 p.m. Updated: March 20, 2015 at 03:21 p.m. It was hard to miss the symmetry that accompanied Greg Hardy's signing Wednesday afternoon. Just minutes after Hardy signed -- with a grinning Jerry Jones at his side -- you could purchase a Dallas Cowboys jersey honoring Hardy. At around the same time, news came from reporters in Charlotte, North Carolina, that the NFL had gone back to court to try to get its hands on evidence that was presented to a judge who had found Hardy guilty of, among other things, throwing his then-girlfriend on a bed of semiautomatic weapons, putting his hands around her neck and threatening to kill her. The charges were eventually dismissed when the alleged victim failed to appear in court for Hardy's appeal, with prosecutors later telling the judge that she and Hardy had reached a financial settlement. Justice, such as it is, had been done, and America's Team was free to take on one of America's most intractable problems. The NFL, though, has been down this rabbit hole before -- and it has been admonished for relying too heavily on law enforcement and a legal system that regularly fails victims of domestic violence. So now it is piecing together its own investigation. That is time-consuming and unwieldy, so a resolution on Hardy's discipline is likely not imminent. There are those in the league office, though, who wouldn't be troubled to see Hardy remain on the Commissioner's Exempt List and off the field for a long time more, so disgusted are they by his purported actions. Commissioner Roger Goodell initially went easy on Ray Rice because a cadre of people lined up to tell him that Rice was fundamentally a good guy who had made a horrible mistake when he punched his fiancée. The league bought into that line of thinking. But as it pursues the Hardy investigation, it won't be giving Hardy any similar benefit of the doubt. As difficult as it was to watch the video of Rice in that elevator, the statements from Hardy's alleged victim are even more chilling. When you're being unfavorably compared to Rice, well, that doesn't bode well in a league that has publicly declared it will not be fooled again. Whatever the investigation turns up, Hardy will eventually get his second chance. You can believe that everybody deserves one without being happy to see one of the league's most high-profile teams deliver that chance so quickly and without even expressing much reservation. 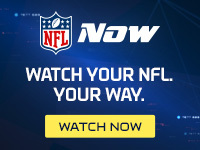 There were plenty of warning signals for the Cowboys to heed and Jones released a statement Wednesday night explaining that the Cowboys spent considerable time trying to get to know Hardy. But there are others who know him, too. It was startling, on Wednesday, to hear a former Hardy teammate say publicly that he was sometimes unmanageable, and for Tampa Bay Buccaneers general manager Jason Licht to explicitly tell the Tampa Bay Times that the Bucs had stopped pursuing Hardy not for contract reasons but because "at the end of the day, we didn't feel good about it." It is rare for a team executive to be so candid about an active player and rarer still for a former teammate to break locker room camaraderie to air issues about a player who is trying to restart his career. But make no mistake, they were far from alone among those who evaluated Hardy over the last few weeks. Hardy is, undeniably, the kind of talent who could have helped any one of the 32 NFL teams, and there are more than a few who are desperate for pass-rush help. Minus the baggage, Hardy would have been snapped up the moment free agency opened last week. Instead, most teams did not even give him a look and, at the end, it appeared that the Cowboys were bidding against themselves for Hardy's services. "He was a mess coming out of college," one NFL team executive said, when asked why his team did not go after Hardy. "He had a number of issues then and his behavior since entering the NFL hasn't proved him to be anything different." The Cowboys shielded their bottom line with a team-friendly contract that guards against the very real possibility that Hardy will miss time -- perhaps significant time -- this season because of a suspension. From a financial standpoint, there is almost no risk -- if things go wrong, the Cowboys walk away with little damage. Except perhaps to their moral code. Whether you find that problematic probably depends on whether you root for the Cowboys. But they made a business decision. And like most businesses that have to please a multitude of constituencies, they sometimes make choices that leave you feeling queasy. This one certainly should. It did just that to Dallas Mayor Mike Rawlings, who told the Dallas Morning News, "As a Cowboys fan, this was a shot in the gut." Mayor Rawlings even felt compelled to call the Cowboys on Thursday morning: "I had a couple of conversations with them because I wanted to hear their side." For Dallas to be the franchise to sign Hardy is particularly odd and would be worthy of a "Jerry being Jerry" chuckle if the topic weren't so serious. The Cowboys have resisted giving receiver Dez Bryant -- one of their own players, who has produced wildly for them -- a long-term contract in part, according to colleague Ian Rapoport, because of concerns about his off-field life. Last fall, when Goodell was being scorched in the throes of the Rice controversy, Jones called domestic violence "intolerable." Also intolerable, apparently, was a lack of a pass rush which, against Aaron Rodgers in January, might have cost the Cowboys a trip to the NFC Championship Game. There isn't much doubt that the Cowboys' defense is better now than it was in that loss, and by the time another late-season game against a top quarterback rolls around, that might be all anybody is thinking about. But the tone-deaf celebratory nature of the Cowboys' Hardy announcement -- smiles and exclamation points all around -- suggests that the message from those "No More" public service announcements (in which the Cowboys' own good guy, Jason Witten, was featured) ultimately gets drowned out by the demands for better results. There's nothing surprising there. There was a similar din when the Philadelphia Eagles signed Michael Vick after his stint in a federal prison. The protesters were outside the gates for his first appearance in a game. But they dwindled rapidly as Vick showed contrition and, probably more significantly, that he still had some game left. Fans wore his jersey again and, in recent seasons, he was even hailed as a veteran mentor. Going forward, Hardy -- and Rice and Adrian Peterson, too -- will be good tests to find out just how much our historical love of a second chance stretches to include even the most despicable acts. Hardy's jersey sales will tell us plenty. For some, at least, that seems to be all the evidence about Hardy that matters.